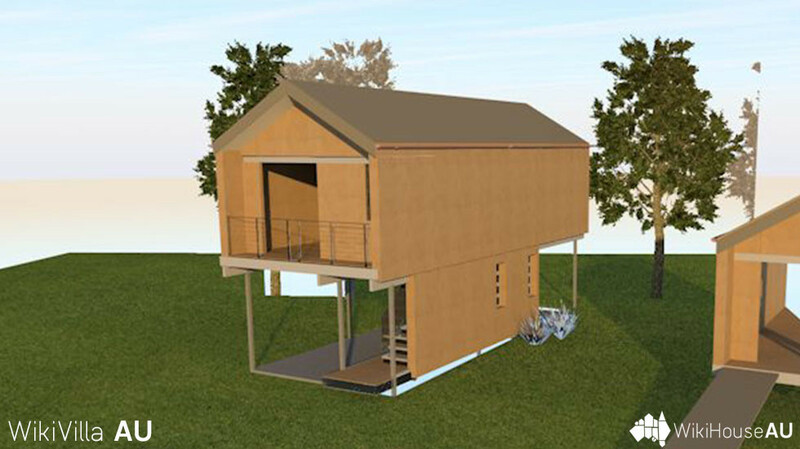 The WikiVilla is an elevated three room dwelling, which is highset to benefit from sub-tropical and topical breezes. The main advantage is that the under croft it can be temporarily used as open living and service areas, just like the traditionl Queenslander. The WikiVilla consists of separate living and bedroom with a multi-purpose space for a study/bed or a baby’s room- better to get on with enclosing under as the family arrives! There is a three way bathroom to allow several people to use the bathroom and kitchenette as before but with pantry space. 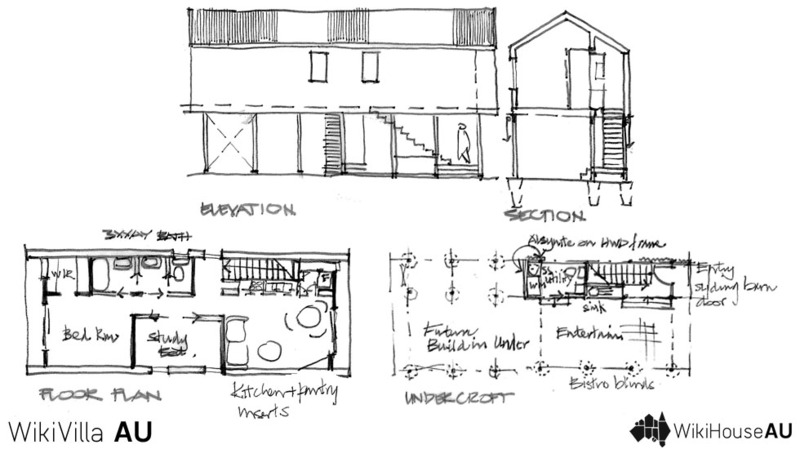 An additional utility space with alfresco kitchen , laundry, an extra toilet and stair are located on the entry platform, which floats over the existing terrain until the undercroft is further developed.